​Stage 4 key Fortnite will be the next step for players in unlocking what is likely the final stage of the Prisoner skin in Fortnite. 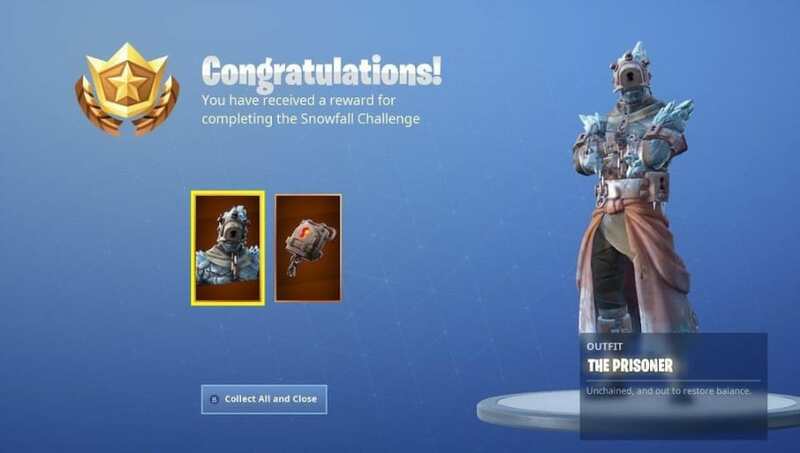 The skin was made available for players during the Snowfall challenge. Here is everything we know about Stage 4 and how to unlock it. Players were able to ​unlock Stage 3 of the Prisoner skin recently with ​a new update in the game. Stage 3 is not the final stage of the skin, however, and ​Fortnite fans are wondering how they can unlock the fourth and final stage for the Prisoner skin. The next task for players to get their Prisoner skin to Stage 4 likely won't be available at least until next week, and there is no way for people to unlock it early, too. It most likely won't require a physical key to unlock, just as Stage 3 asked players to do a specific task instead. Although the next stage isn't available, leaks of what the skin would look like are available so fans can get a sneak peek at what the final stage of the Prisoner skin will be once the fourth mission is revealed.